So many times I enter into a restaurant, QSR or Fast Casual establishment only to see uniforms that look sloppy, worn, and faded. Subconciously my impression of the brand and the quality of the food goes down a few notches. I immediately think, “if they don’t care about their appearance, they definitely don’t care about the quality of the food they are preparing”. Below are a few tips to keep in mind when thinking about the uniform program solution for your brand. When you operate a business with a customer-facing workforce, the uniform is one of the most visible embodiments of the brand itself. The appearance of your employees may be the first impression that is made upon your customers. We all want to feel good in the clothes we wear. Employees that are required to wear unattractive and unimaginative uniforms can indirectly effect profits. The right cut, the right fabric, the right design can make a huge difference in the look and feel of the uniform and your employees attitude about wearing the uniform. Happy employees lead to more productive employees which leads to higher profits. Developing the uniform is half the battle. It is extremely important to incorporate a turn-key solution that can provide easy web-based ordering, flawless fulfillment and distribution to each individual location. Also, having a dedicated account representative on the account makes all the difference. Work with someone who understands your business, your brand, and your needs. 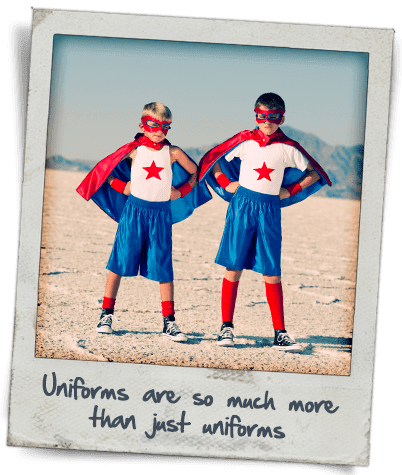 Why choose The Icebox as your uniform solution? We create role – specific apparel collections that project a unified brand image. We know how to cut, dye, sew and manufacture so we can develop custom uniform programs. Our relationships across the globe allow us to focus on cost effective uniform solutions that will fit your specific business needs. We design, execute and fulfill customer uniform programs that incorporate the critical aspects of the brand, the work environment, and necessary style and performance needs. Contact us today to see how we can transform your image.